He continues, “I’m sorry that I hurt people.. I am evolving and want to continue to do so. My goal is to bring people together not tear us apart. Much love & appreciation to the Academy. 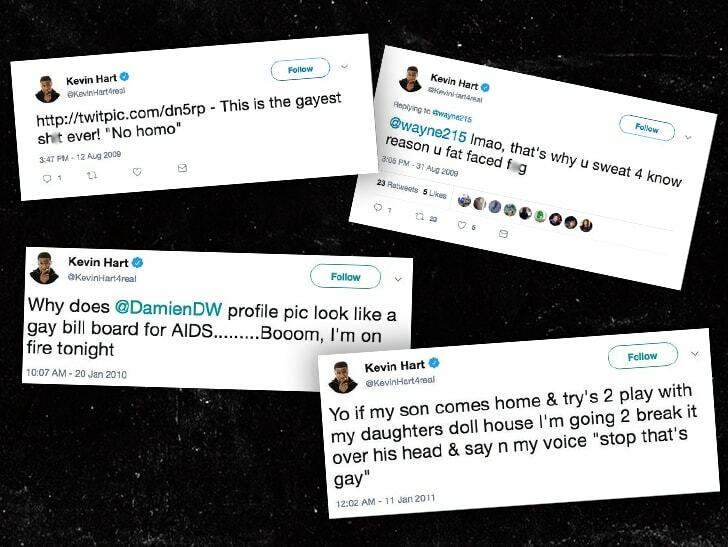 I hope we can meet again.” Kevin Hart ﻿is firing back at critics who think he’s unfit to host the Oscars due to old tweets that were extremely homophobic … and by firing back, we mean he’s laying in bed and refusing to apologize. 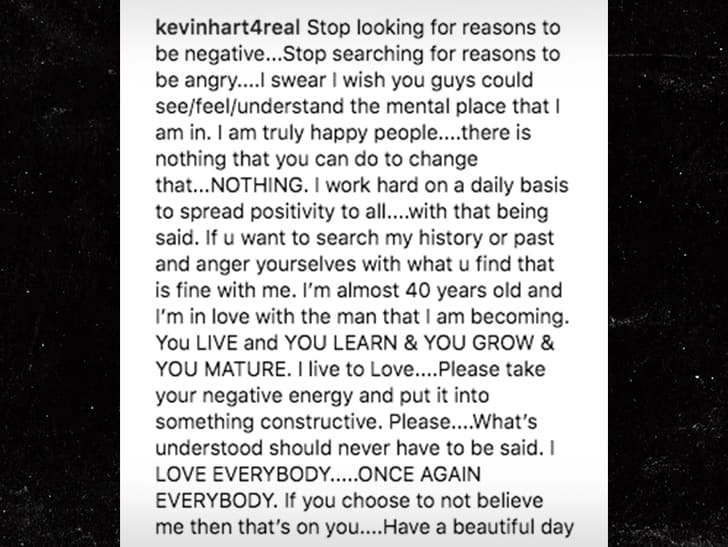 Kevin says in an Instagram video, the hateful response to his old tweets illustrates just how PC-crazy our world has become … and he says he’s not going to let the haters bring him down. As Kevin put it — in a video he shot with his head still on a pillow — he’s approaching 40 and it’s stupid for people to think his views haven’t evolved. Basically, he’s claiming he’s more mature than he was when he was gay-bashing on Twitter — including using the f-word several times. The Academy announced this week that Kevin would host next year’s Oscars, and the backlash began almost immediately.